If there was any doubt to the popularity of Pokemon Go in your mind, you can comfortably put them away. The listing for the hugely popular game was updated in the Play Store and now indicates that over 50 million downloads of the app has happened in just the first 20 days the app has been available. Keep in mind that it isn’t even rolled out globally just yet so these are staggering numbers by any measure. downloads. 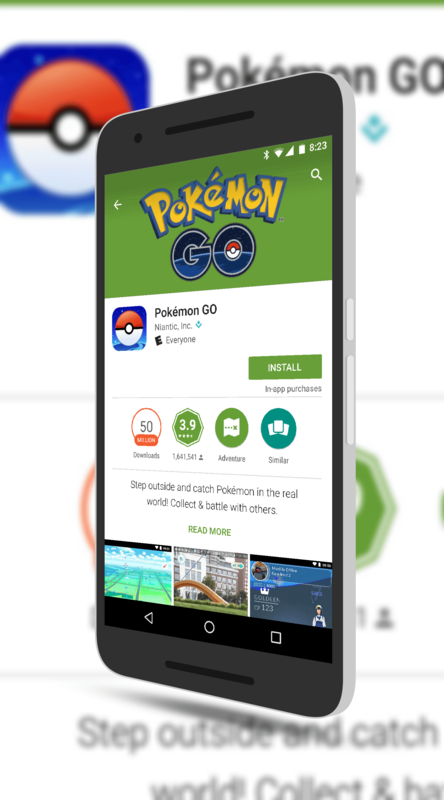 In just 20 days, Pokemon Go is halfway to that total. It also has more installs than Inbox by Google (10 million) and Google Fit (10 million). And it is only 20 days old! Clearly the game is heading towards a massive number, possibly as high as 500 million by the time it is all said and done with the global rollout. Regardless of how you feel about the game, it is a winner.